The team at the ibis Faro Algarve hotel would like to welcome you and wish you a pleasant stay. Take advantage of our privileged location to relax and enjoy the Algarve's historical wealth and fantastic beaches. 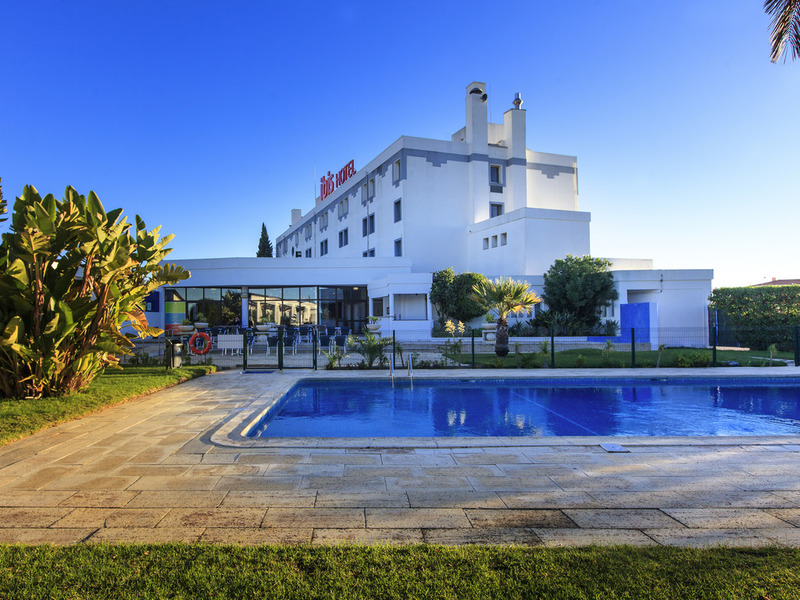 Just a few miles from Faro, offering easy access to Faro Beach and the Ria Formosa lagoon, in addition to golf courses and tennis courts, the ibis Faro Algarve hotel offers guests everything they need for a wonderful stay. Our air-conditioned rooms are mo dern and comfortable and guests can and enjoy services such as WIFI, a restaurant, pool and private car park. The ibis hotel in Faro also has two fully equipped meeting rooms. Renovated and strictly non-smoking rooms. Faro historical center 3.1 miles. Ria Formosa Nature Reserve 9.3 miles. Aqua show 7.5 miles. We are ready to welcome you 24 hours a day. Breakfast served from 4am to midday. Free WIFI throughout the hotel and WIFI printer in the WebCorner. Outdoor pool and free sun loungers. Discover our Tasty Menu; it's simple, healthy and delicious. There is a drinks and hot and cold light snack service that caters to all tastes. You can order at the bar or at reception 24/7 to enjoy whenever and wherever you like.